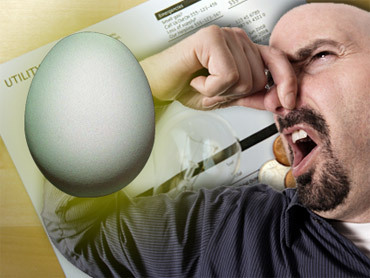 Natural gas is odourless, but providers add a chemical to the gas that has a distinctive, sulfur-like aroma similar to rotten eggs so leaks can be detected. Bellevue, Washington-based PSE serves nearly 750,000 natural gas customers in 11 counties. The company says many electric customers are also getting the pamphlets to help make everyone aware of the smell of natural gas.